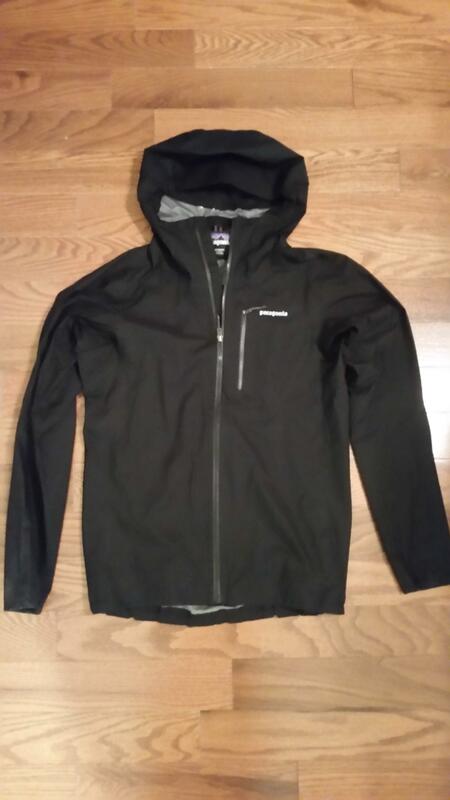 Patagonia Storm Racer Jacket. Men's size small. Weight 6 ounces. Color black. I bought this jacket in 2018 and have discovered that I am one of those people who loves having hand pockets. Therefore I'm letting go of this beauty since I bought the Stretch Rainshadow instead. The jacket has only been used a handful of times - maybe 5 - and is in excellent shape.